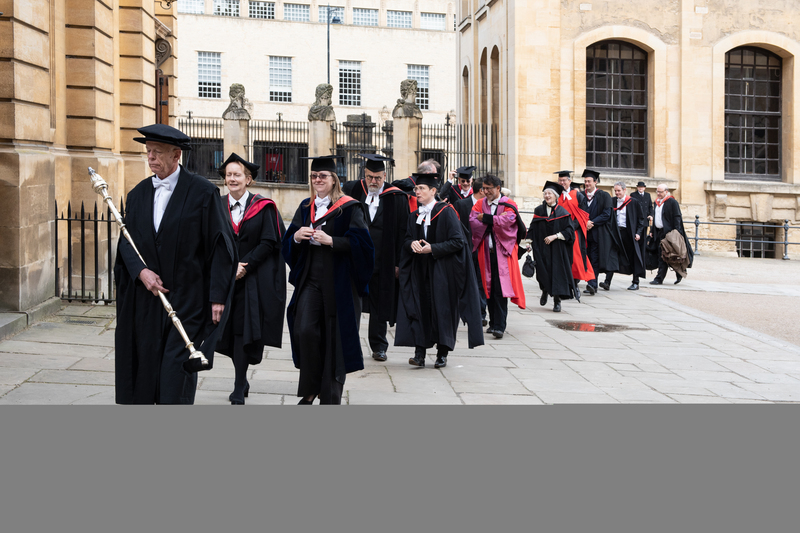 Preceded by a Bedel, Fellows of Balliol processed with Professor Marnette to the Sheldonian. There, following a speech by the outgoing Senior Proctor, the Master of Balliol presented Professor Marnette to the Vice-Chancellor and she received the insignia of her office: the statute book and keys. 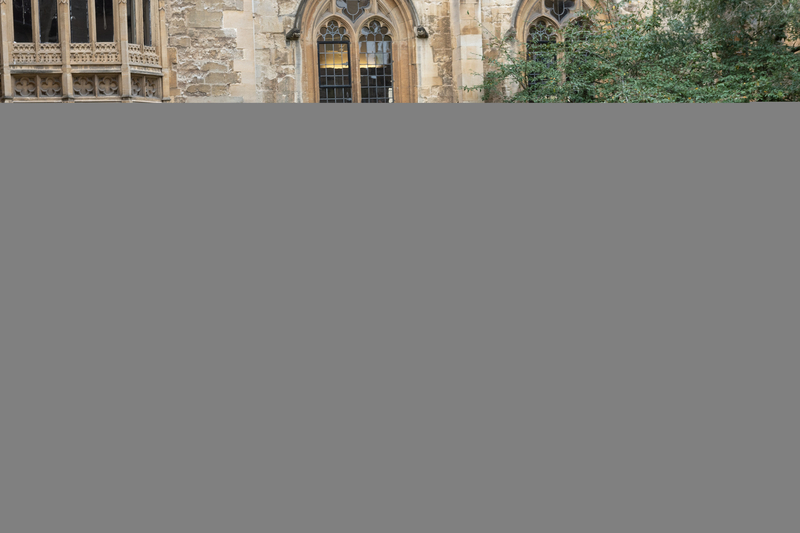 The University has two Proctors and an Assessor, who are elected annually by the colleges in turn – a system that means that a college elects a Proctor only about every 12 years. 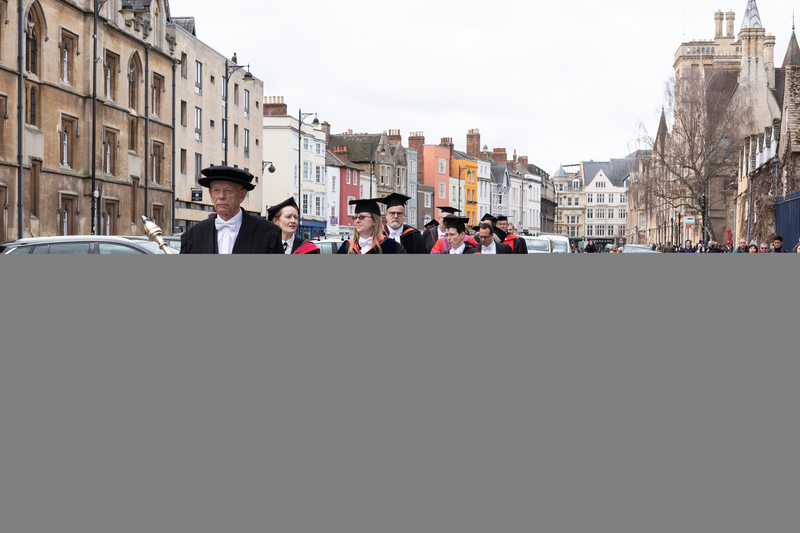 The Proctors and Assessor are senior officers of the university who ‘oversee student matters and ensure that the University’s statutes and policies are followed, with particular interest in examinations, conduct and welfare, and other aspects of the student experience’. 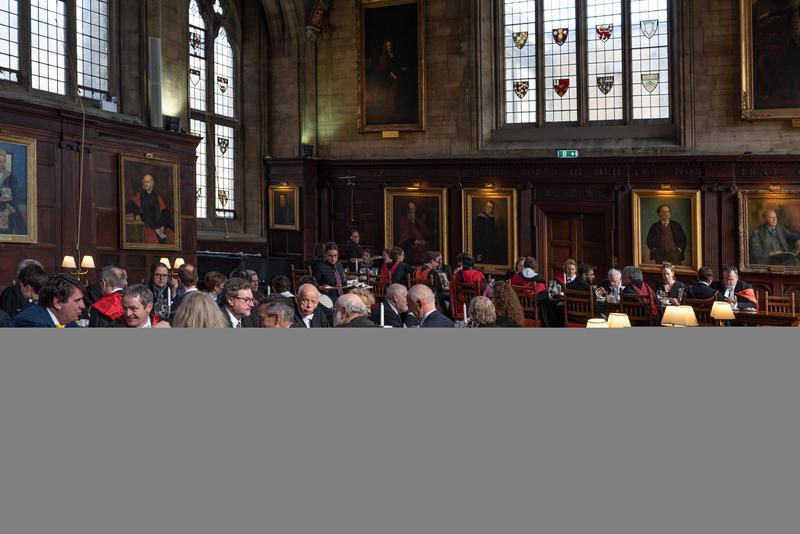 After the ceremony, Balliol marked this very special occasion with a luncheon in Hall. 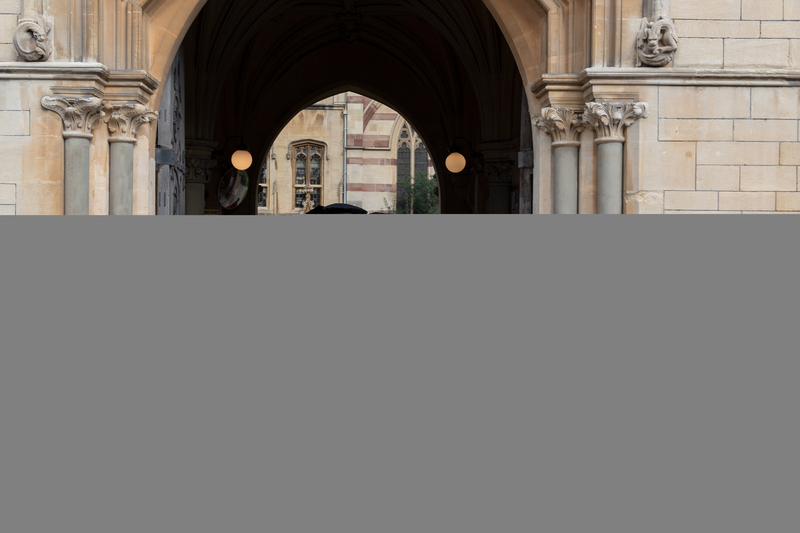 The Senior Proctor has special responsibilities in research degrees and the Junior Proctor for taught degrees (the titles Senior and Junior reflecting which one was first admitted to the Oxford MA); the Assessor is typically involved with student health and welfare matters. 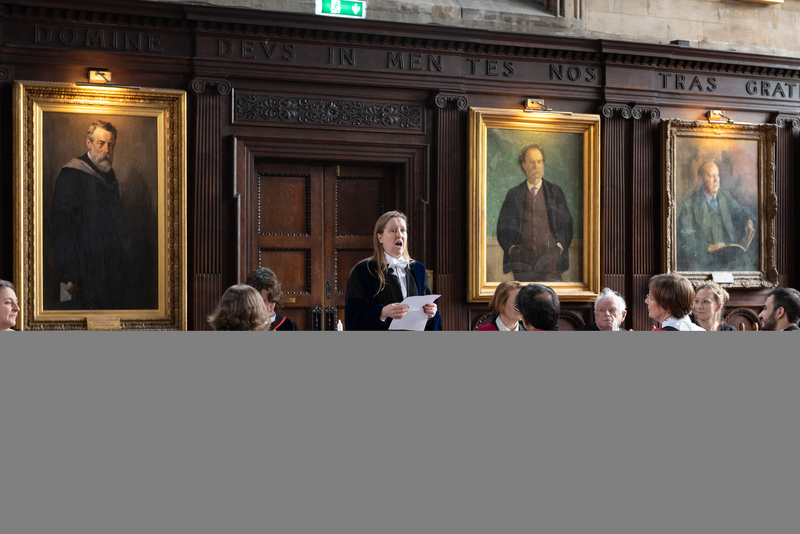 In recent times Balliol has elected the following as Proctors: P.G.H. Sanders (1971), W. Newton-Smith (1984), P.A. Bullock (1995) and James Forder (2007). Photographs above and below by Stuart Bebb.